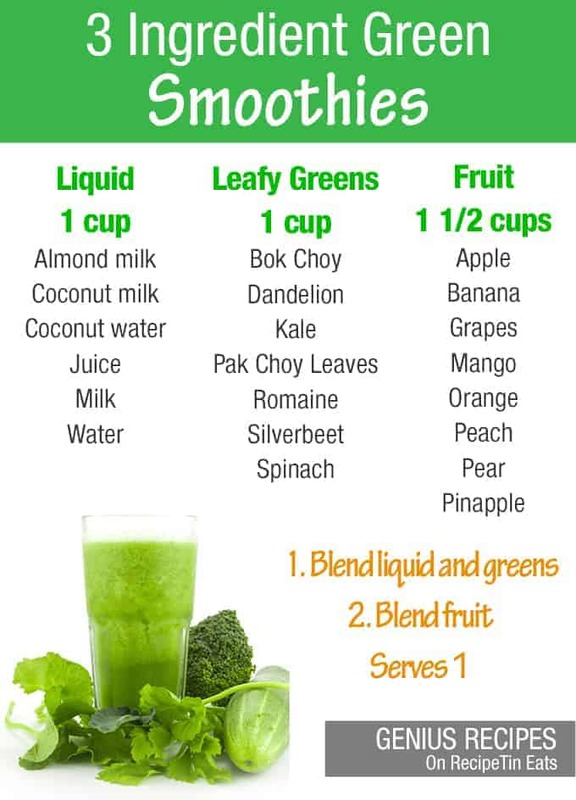 This is a simple guide for 3 ingredient green smoothies. Mix and match with whatever you like and have on hand. I like to make frozen smoothie packs so I make them up with fruit pieces and cut up greens so they are on hand for whenever I need a quick smoothie fix. Boost it with whatever you want – I like to add ginger and chia seeds. You may also like this 3 Ingredient Frozen Smoothie Guide – perfect for make ahead frozen smoothie packs.